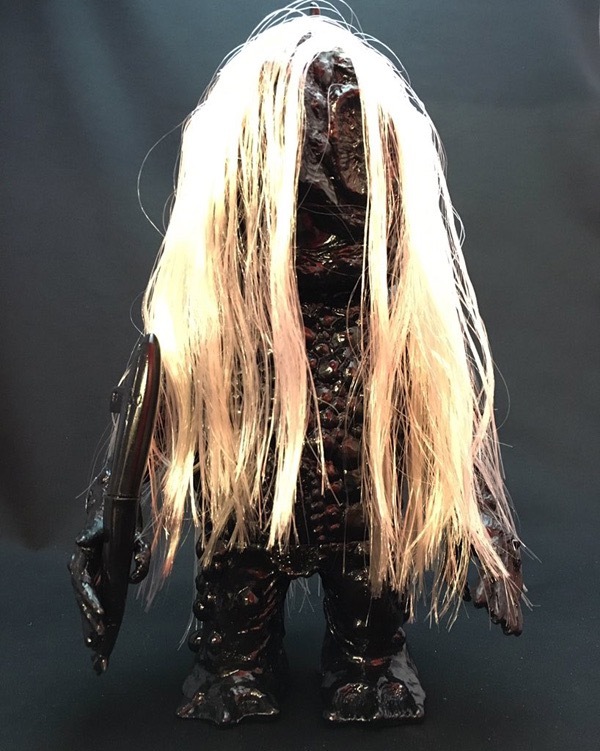 Longneck’s Yoda Masahico has teamed up with Mandarake to offer up a special one-off “White Hair 666″ Seabed Maijin this week! Standing at around 13” tall, the highly sought after figure – a homage to Cosmo’s “Fish” Alien gacha – has been produced in an unpainted black/dark red soft vinyl, complete with hand threaded white hair and a submarine omake. Currently on offer via lottery through Mandarake’s ongoing “original art program “Ark” for a hefty 100,000yen plus shipping, interested parties are going to need to fill out the dedicated entry form right here before close on Sunday, June 19th… Good luck to all who enter!